Their altruism and that of their organizations to facilitate justice and sustainable development for all creates gaps in protection. Unfortunately, many human rights defenders tend to forget that by helping victims of rights abuses they also become easy targets of retaliation. They tend to downplay that their security is as important as the security of the victims they are helping. 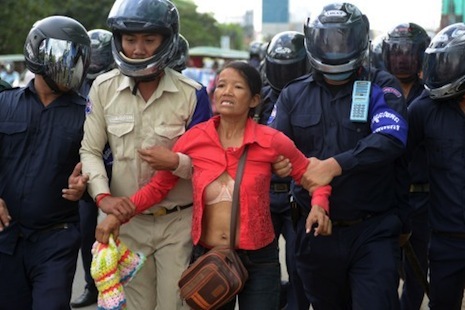 There is right now a big gap in the provision of a safe and enabling environment for human rights defenders in Asia and around the world — an obligation which has become primarily reliant on positive actions by governments. Last week’s meeting in Manila noted that while the protection gap is posing greater and imminent danger for those working for human rights and community development, many civil society groups have evolved provisional measures and practical mechanisms to mitigate human rights violations. Since the adoption of the United Nations Declaration on the Situation of Human Rights Defenders 16 years ago, most Asian states have yet to pay attention to the valuable contributions of human rights defenders. Ironically, many Asian states have enacted and applied legal and administrative provisions to silence them. Restrictive legislation and policies have made protection initiatives even more challenging as security forces and armed groups even act as conduits to business and political interests. Worse, some democratic institutions in the region have arrived at some level of incapacity and unwillingness to respect and protect human rights. Today, policy and legal practices in many Asian states provide an environment for abuse directed towards criminalization and restrictions on the work of human rights defenders, resulting in the narrowing of the space for engagement. As the world marks Human Rights Day, human rights defenders from around the globe can only wish that governments, especially in Asia, realize that it is their prime responsibility and duty to protect, promote, and implement all human rights and fundamental freedoms to ensure that all persons under their jurisdiction, individually or in association with others, are able to enjoy all rights and freedoms in practice. Renato Mabunga is the chairman of Human Rights Defenders, a lobbyist at the UN Human Rights Council and a regional educator on human rights.